About It’s never been easier to choose the right wristwatch model for yourself! Hundreds and hundreds of models for men and women are categorized by quality, price and characteristics – simple and clear. 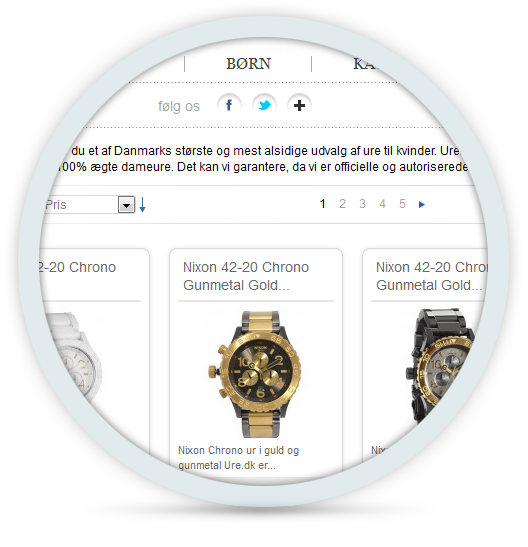 This site is of great help, not only to employees of the Danish company “Ure”, but also to their customers.